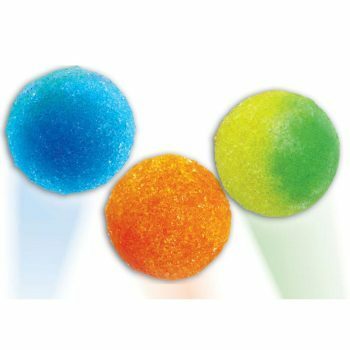 Super Bouncing Ball Kits, Just Add Water: Educational Innovations, Inc.
includes 12 molds, makes 24 balls. Super balls are plenty of fun to bounce, and even more fun to make! The kit can be used to reinforce students' mastery of lab procedures, as an unforgettable introduction to polymers, or even as an energy lab (measuring bounce heights). Comes with 12 sturdy plastic molds and enough colorful crystals to make 24 bouncy balls. You provide the water and in just a few minutes, your students will be able to use their creations to conduct a wide range of investigations. This is hands-on science at its best! Download the instructions for this product. We have a lot of fun with this project at all age levels. Be aware that the balls are not perfect. They are 'granular' in texture and have a seam from the mold so they're not perfectly round. However, the kids love the activity and introduction to lab science. This was a fairly simple way to demonstrate irreversible change with my second graders while working on following directions. I need to buy another pack though as one of my kiddos broke the mold opening it. The refill kit does not include molds. 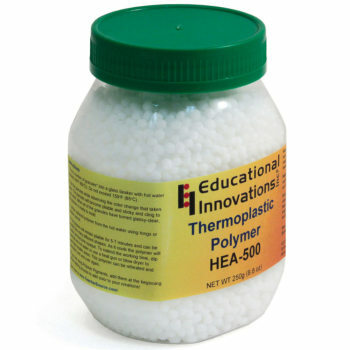 I've used this product for years in my kindergarten class to teach hands on polymers. The kids love it! Love these -- am teaching a class on polymers and this is one of the lessons. Thanks!! I have been using similar ball kits for years during our energy unit. Students use initial and final bounce heights to determine the energy lost to the environment during a bounce. The kits are much more fun for my (high school) students to use than pre-formed bouncy balls. Molds are used to form the balls. The balls have never been perfectly round. Unfortunately, the type of mold pictured with this description are not of the quality I purchased in past years. The balls were not round, and had a seam along the equator because the two halves did not join well. These are still usable, but it the probability of a vertical bounce has gone down, sadly. 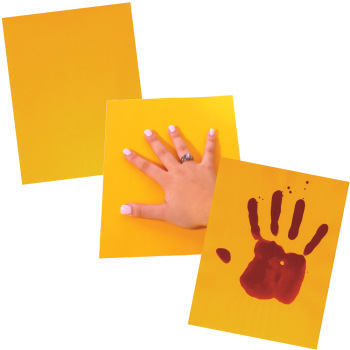 These kits are so easy to use and young students love them! It's a great way to teach students about polymers and monomers. 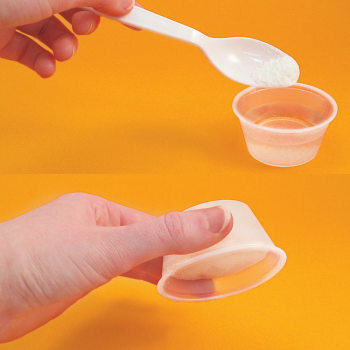 This is a great hands-on demonstration to introduce the concept of polymers to young students. It's easy and fun! My students had a BALL! My students loved this activity. The balls were easy to make and bounced well, not as well as store bought balls, but this lead to a great compare/contrast discussion. I would have given kit a 5, but it did not make as many balls as listed. Owner Response: Thank you for bringing this to our attention. We will be sending you extra crystals to make up for the shortage. We are also including a few extra packets with every purchase to ensure there is always enough material in each kit. Provides an excellent base for an STE lesson for elementary school. Made them quickly and they worked OK but nothing special. Then after 2 days, the balls dried out and became hard as rock. The entire experience was very professional and easy. I will order again in the future. I purchased these for a "make & take" event I ran at my store. The kids loved them and couldn't get enough! They were easy to make and foolproof. The balls that they made were really bouncy and the best part was that it was quick.. the kids didn't have to wait to see their results. Great product!! I got these for a science-themed birthday party, for kids ranging 7-8 years old. The kids loved making the ball, but it was a little messy, and some of the balls came out lopsided. you really have to follow the directions to the letter. Students can use the Bouncing Ball Class Kit to plan and conduct an investigation to describe and classify different kinds of materials by their observable properties. Students can the Bouncing Ball Class Kit to make observations and measurements to identify materials based on their properties. Using the Bouncing Ball Class Kit, students can develop models to describe the atomic composition of simple molecules and their structures or properties. Using the Bouncing Ball Class Kit, students can investigate, gather and make sense of information about synthetic materials. Using the Bouncing Ball Class Kit, students can construct and revise an explanation for the outcome of a simple chemical reaction based on the outermost electron states of atoms, trends in the periodic table, and knowledge of the patterns of chemical properties. 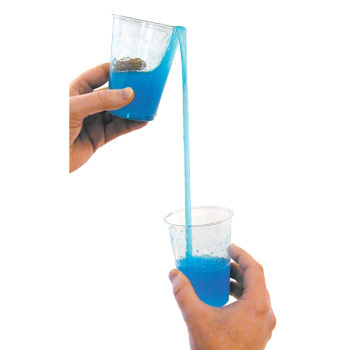 Students can produce a variety of balls, using variables to test the properties. Students can use the Polymers and molds to plan and conduct an investigation to describe and classify different kinds of materials by their observable properties. Students can gain firsthand experience with polymers and learn more about synthetic materials and where they come from. Students can use the balls to test the Law of Reflection of Particles. By bouncing the ball back and forth with a partner or rolling it against the wall, students can measure the angles.